It is a good decision to join this college. Since it has low fees and a stressless environment. College is overall good. nice management and also nice faculties.good experience. Good remarks are the campus and Prayer facilities which they provide. And the bad remarks are about the cleanliness. I miss my college days. The New College has helped in shaping me as a better human being. It has provided me with the right atmosphere not only to study but also to develop my talents. The encouragement and support provided by the Students, Staff and management have helped me to become what I am today. The New College, Chennai has a high repute as one of the leading institution offering higher education in the city. The college was established with the objective of offering higher education to the students belonging to educationally backward section. The college gives opportunities to deserving students, regardless of caste, community, or socio-economic considerations. The college runs both day and evening courses, wherein the evening one is self-financed. UGC selected the college for offering career oriented add-on program in clinical laboratory technology (Certificate, Diploma & Advanced diploma courses), computer assembly and servicing as well as quantitative methods and computer applications. 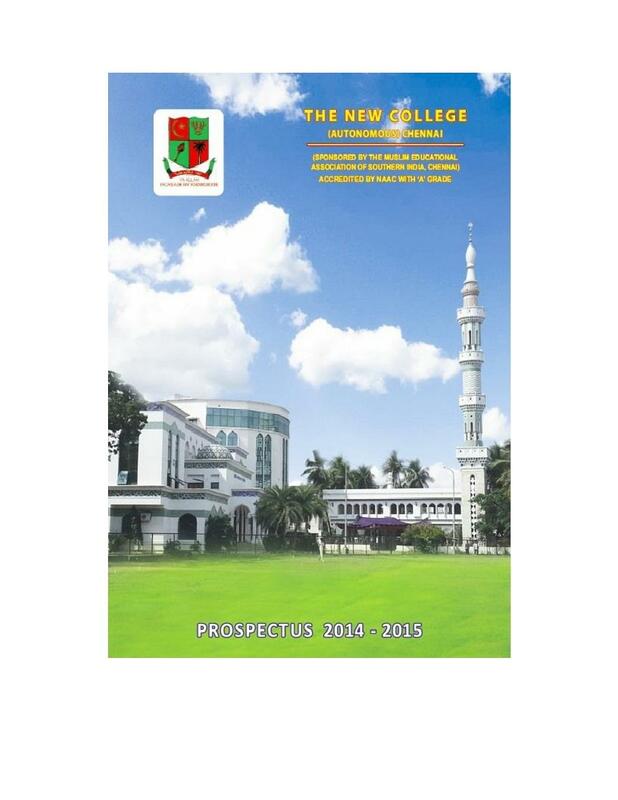 Why to join The New College, Chennai? Owing to central location, high-end infrastructure, experienced faculty, the college remains the top choice of students. 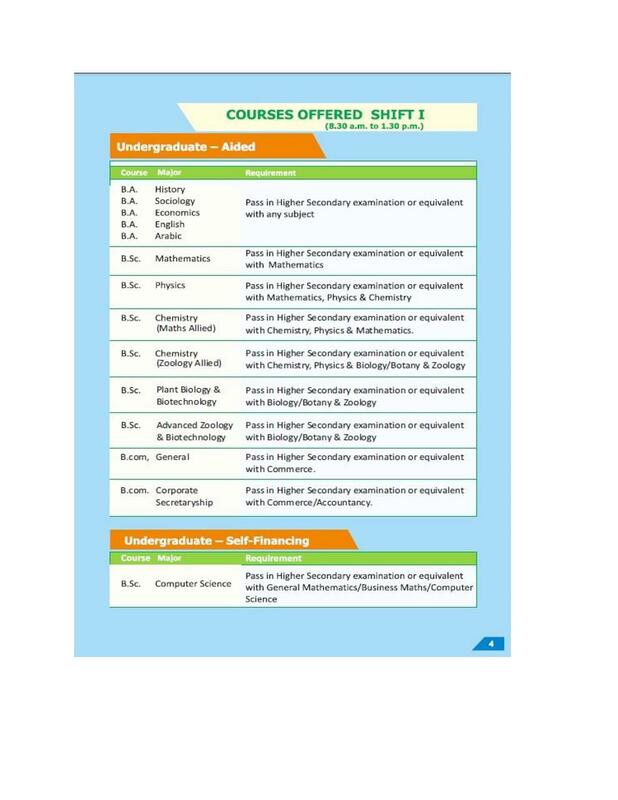 With an emphasis on teaching beyond the curriculum, the college promotes personality enrichment, development of soft skills, computer skills and others for integrated development of the students. Students who are weak in academics and studies are offered the opportunity of counseling program under the guidance of a dedicated counselor for mentoring and monitoring. The person overlooks the progress of the students and trains them in communication skills. The college carries out several academic innovations through curriculum design, conducting various exams and grooming students to make them adaptable to changing global environment. The college has an active placement cell that facilitates successful placements in reputed organizations around the country. The mentors in the cell even offer valuable career guidance to students in various fields. Hi, no, the college is not a boys' college but a co-ed college. This is one of the main colleges for Muslim people’s around, if you join in some other colleges you won’t be getting the prayers such as on the Friday (Jummah), Asr, and Maghrib during the college days. So everyone recommends you to join in this college. The management staff is very good as well. "The best Arts & Science College at Chennai City Center"
I wanted to do graduate in Arabic, which is a foreign language. 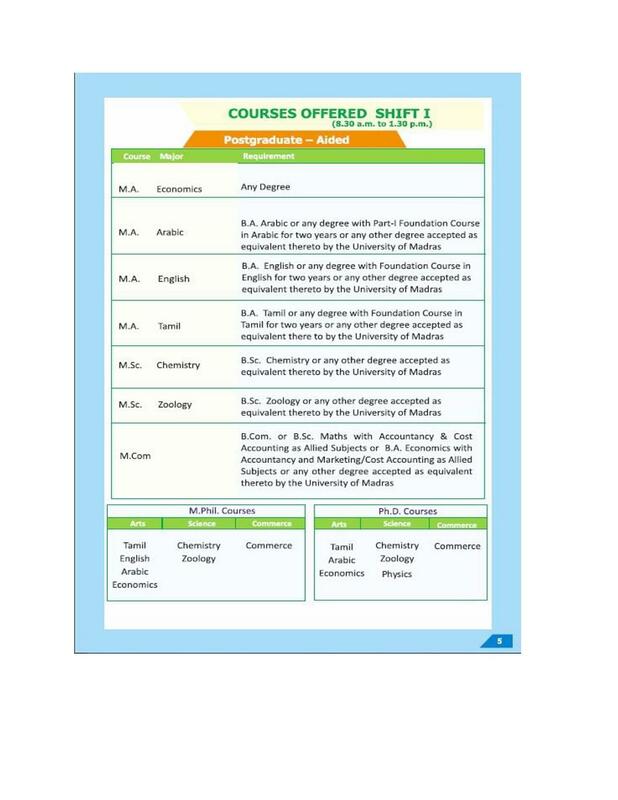 The New College has courses in Arabic from Undergraduate to PhD. level. 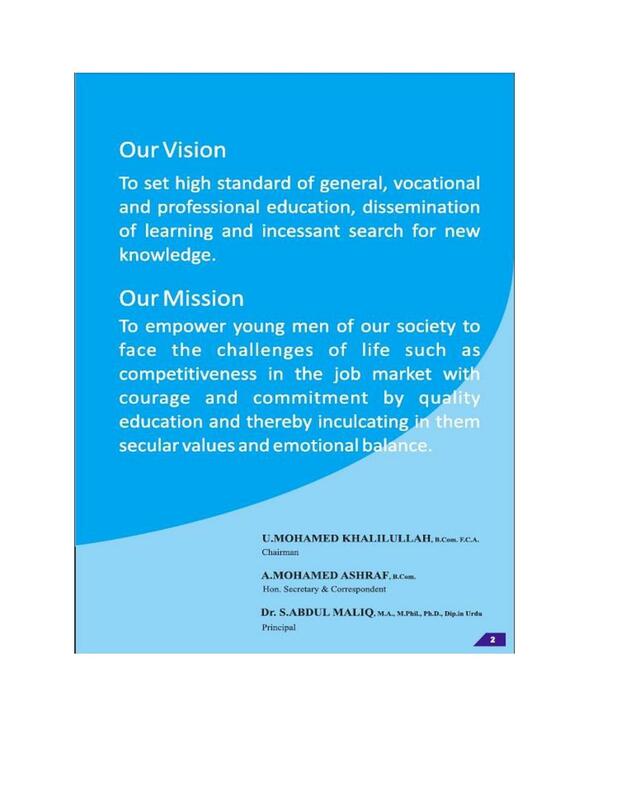 The faculty in the Arabic department of this college are highly qualified and experienced. The Arabic department library here has the best collection of books. Besides this, there is an Arabic language lab with facilities that make learning an enjoyable exercise.